The LG WM3360HRCA tries to satisfy different needs by providing different cycles that respond to various needs, such as allergen elimination, quick wash and energy saving. 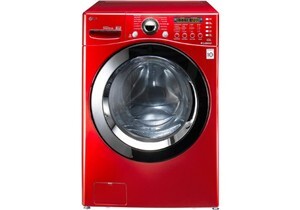 It operates with TrueSteam Technology, which ensures the efficient and thorough washing of the load. It also comes with a ColdWash cycle, which further saves energy. Energy Star certified. This means that the washer can save its owner a lot of money on energy bills. There is also a ColdWash cycle that helps in saving further energy by enabling the appliance to clean clothes even with cold water. Cold water, with this cycle, can provide the cleaning power of warm water. TrueSteam Technology is incorporated into this appliance. This technology ensures that the clothes are thoroughly cleaned and their fabrics well-preserved. The technology also makes possible some cycles that remove odors and wrinkles. The particular cycle in question is the SteamFresh cycle. The Allergiene cycle removes about 95% of possible allergens, from dander to mites and everything else that can cause the members of the household to succumb to the sniffles. This cycle can be used even on delicate fabrics. A fifteen minute quick wash cycle can be helpful to the times that the consumer need a few pieces of clothing within a short period of time. This trademark SpeedWash cycle will also prove to be a source of convenience for those who are always on the go. The Delay Start function would be a good combination with this SpeedWash cycle. The function allows the user to start the cycle at any time, through programming, even when he is not home. Operates with minimal vibration and noise. So, if the consumer is next door, he won’t be disturbed by the cycle. Because of the minimal vibration and noise, the washer can be used on floors other than the ground floor or basement. The people below won’t be disturbed whenever the washer is in operation. Attractive wild cherry red, fit for users who want something a little more than the ordinary. The drum is made of NeveRust stainless steel. Front electronic controls with LED display.There is a dial-a-cycle knob. The design of the controls is a combination of sophisticated and user-friendly. The product is Energy Star certified, which makes it a good addition to households that want to save on both energy and money. There are some great features, including the anti-allergen cycle that should reduce the incidences of the sniffles in the household. The design is sophisticated but the product is still easy to use. There is a one year limited warranty on parts and labor. LG is confident about this product as the warranty on the motor is ten years and the warranty on the drum is good for a lifetime. The washer is stackable with a compatible dryer. The product does not allow for programming cycles at the same time every day. The Delay Wash function is only up to 19 hours.